Looking inwards through the broken windows of this abandoned cottage it seemed that time itself had held its breath since the householder passed to another landscape more than a decade ago. The door was no longer guarding the inner sanctuary of the silent years and I crept slowly inside. 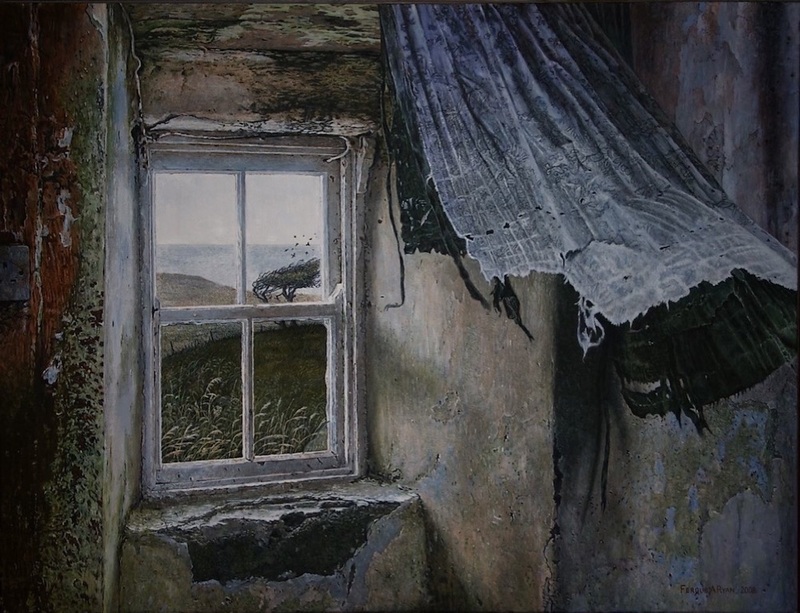 The threadbare curtain’s unexpected movement acknowledged the long overdue intruder as a sudden Atlantic breeze breathed through the unglazed window—a pneuma moving over the deep waters filling some priestly surplice. Outside, the rooks mark the liturgical moment. It signalled the last days before nature quietly reclaimed its ground.